To Cite: Pazouki A, Kalhor M, Safamanesh S, Eidy M, Tamannaie Z, et al. 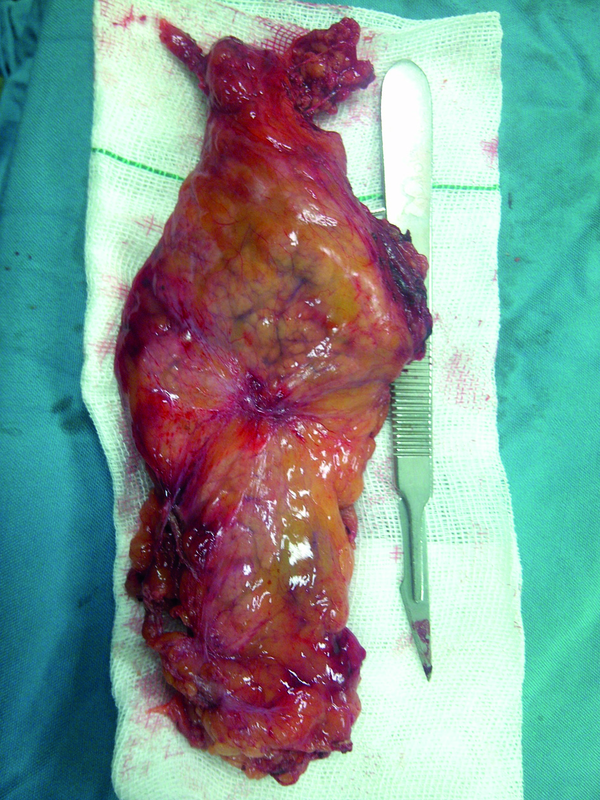 Laparoscopic Splenic-Preserving Distal Pancreatectomy for Management of Pancreatic Body Lesion with Splenic Vessels Involvement: A Case Report, J Minim Invasive Surg Sci. 2013 ; 2(4):-. Distal pancreatectomy has been a standard technique for pancreatic body and tail lesions for years ago. Recently, it is being performed laparoscopically in a perfect manner. There are two common methods for this procedure. One is distal pancreatectomy with splenectomy and the other is distal pancreatectomy with spleen preservation. In patients with splenic vessels involvement, it is not recommended to save the spleen, because of existing chance of splenic ischemia. On the other hand, after splenectomy there is great chance of immune system problems and fatal infections. 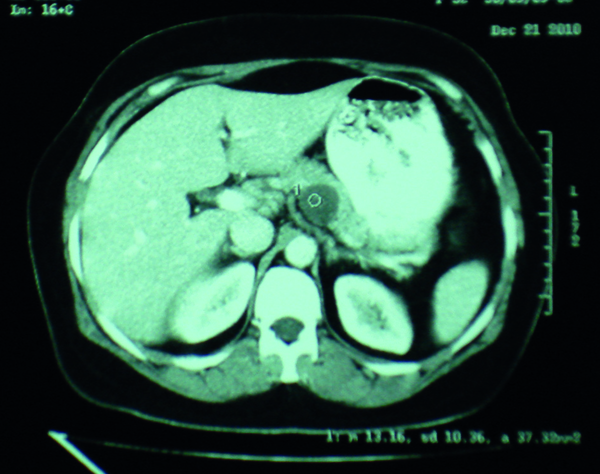 This report, presents a patient who underwent laparoscopic distal pancreatectomy due to cystic tumor of pancreatic body with splenic vessels involvement and ligation of them was necessary and the spleen was saved successfully with no following complications. Copyright © 2013, Minimally Invasive Surgery Research Center and Mediterranean &amp;amp; Middle Eastern Endoscopic Surgery Association. This is an open-access article distributed under the terms of the Creative Commons Attribution-NonCommercial 4.0 International License (http://creativecommons.org/licenses/by-nc/4.0/) which permits copy and redistribute the material just in noncommercial usages, provided the original work is properly cited. Distal pancreatectomy is the procedure of choice for benign, premalignant and malignant disorders of tail and body of pancreas which is being used frequently in recent years (1). In malignant pancreatic disorders, simultaneous splenectomy is suggested to make sure of complete oncologic resection of mass. Considering the importance of immunological function of the spleen and the fact that after splenectomy, there is high risk of overwhelming sepsis, it is strongly advised to preserve the spleen in distal pancreatectomy in order to prevent these harms. Thanks to advent of laparoscopy, all these advantages are now in the minimally invasive surgeon’s hand (2, 3). Splenectomy in malignant disorders of tail and body of pancreas has negative effects on patient’s survival in the long term and in cases of spleen preservation, incidence rate of diabetes and fatal sepsis have been lower (2, 4, 5). On the other hand, when splenic vessels are involved by pancreatic tumors, considering that ligation of the vessels is inevitable, any effort made to preserve the spleen may result in complications such as splenic ischemia, left upper quadrant abdominal pain, infection and abscess formation (1). These complications, added to the fact that one of the most common complications of distal pancreatectomy is the pancreatic leakage (6), could be potential elements to compromise the situation after surgery. 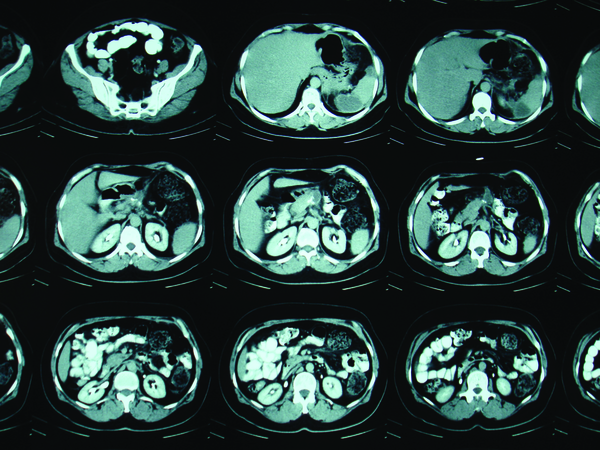 In this article, the authors reported successful management of a patient suffering from cystic pancreatic tumor with splenic vessels involvement that underwent a distal pancreatectomy with splenic vessels ligation and splenic preservation. The patient was a 50 year old lady who has had atypical abdominal pain for 6 months before referring to Milad hospital, Tehran, Iran. Her pain was mostly radiated to back and vertebral column and there was no relation between pain and eating. The most painful areas were around umbilicus and epigastric region. She had intermittent nausea without vomiting and had no bowel habit changes. The patient was diagnosed workup due to pain. All of the laboratory findings such as liver function tests and pancreatic enzymes and upper digestive endoscopy were normal. In the abdominopelvic ultrasonography and CT scan, a heterogeneous cystic lesion was seen in the pancreatic body with diameters of 3*4 cm, in close proximity to abdominal aorta and near the lower thoracic vertebrae (Figure 1). This finding was later confirmed by the endoscopic ultrasound. Attempts to perform the fine needle aspiration and core needle biopsy were fruitless. All of the tumor markers including CA 19-9 and CA 125 were negative. Thus, patient was candidate for laparoscopic distal pancreatectomy. Regarding possible splenectomy, pneumococcus, meningococcus and H. influenza, vaccines were injected. Laparoscopic surgery was initiated with the patient in V position and the surgeon standing on her legs. Trocars were inserted with the following order: the 10 mm trocar in the upper border of the umbilicus for camera, the 12mm trocar in the left upper quadrant, three 5mm trocars in the right upper quadrant, epigastric area and left flank. After entering into the lesser sac and adhesiolysis, it was found that the origin of splenic vessels (proximal of artery and distal of vein) was totally adherent to the tumor in a way that after accurate dissection, separation of them was impossible. Therefore, it was decided to excise the mass with accompanying splenic vessels. After clamping the vessels by 10mm clips, distal pancreatectomy with resection of surrounding lymphatic tissues was performed. In order to stump the pancreas, a 4.8/60 mm stapler device was used. Considering that after this procedure, no sign of splenic ischemia was noted, it was decided to preserve the spleen which is supplied by left gastroepiploic and short gastric vessels. Duration of the operation was 190 minutes and blood loss was less than 200 ml. Distal of pancreas with surrounding tissues were placed in the retrieval bag and removed (Figure 2). Surgery was finished after insertion of a corrugate drain and the patient was discharged from hospital after three days. In the following days, no evidence of pancreatic leakage was observed and the patient had tolerated the regular diet without any problem. After ensuring that there was no leakage of pancreas stamp and discharge of the drain decreased, drain was removed (five days after operation). In microscopic evaluations (the 24*32 mm solid-cystic mass), it was revealed that the mass was a mucinous cyst adenoma with severe adhesion to surrounding tissues including the vessels but without microscopic invasion to the artery and vein. Due to the ligation of splenic vessels and post-operative left upper quadrant abdominal pain (less than pre-operative pain), patient's work up was continued. Some evidence of ischemia in the lower pole of the spleen was found which was resolved in later examinations by color Doppler ultrasonography and didn't lead to collection formation or infarction. There was a collection in the splenic hilum with diameters of 2*3 cm that was formed three weeks after operation without any fever or local tenderness. It was treated up to six weeks later by medical therapy (Figure 3). During this period, the patient had no fever, was able to tolerate the regular diet and her nonspecific pains were improved gradually after eight weeks. In esophagogastroscopy, on three and six months after surgery, the patient had no evidence of gastric varies and bleeding. We had checked the patient’s status for six months after surgery and she had no symptoms of other complications during this period. Splenic preserving distal pancreatectomy (SPDP) could be accompanied by saving the splenic vessels (artery and vein) or ligating them (1). This procedure is mostly done for resection of benign or premalignant pancreatic masses. This method is less time consuming and does not cause bleeding compared to distal pancreatectomy with splenectomy. (1). Many previous studies, mentioned that the best method for this procedure could be performed laparoscopically (2, 3, 7, 8). This method is used for the less post-operative pain, less hospital staying period and some other factors (4, 5). However, it is considered as an advanced laparoscopic procedure and is suggested to be performed only in facilitated and highly experienced laparoscopic centers (9). Based on the clinical studies, the rate of splenic infarction in patients undergoing SPDP with ligation of splenic vessels is mainly higher than those undergoing SPDP with preservation of splenic vessels (1). The same fact is true about the need for second operation and morbidity in patients. Moreover, the hospital stay is also longer in the first group (SPDP with ligation of vessels). Hence, there is a great chance of pancreatic fistulas and collections needing percutaneous drainage in SPDP patients with their splenic vessels ligated (1). The same studies have shown that even in case of splenic vessel ligation, preserving the spleen has less short-time complications compared to splenectomy. It also prevents occurrence of splenectomy complications in the long-term, such as defect of immune system and overwhelming infections (1). But one point to remember is that in most cases, due to the invasion of pancreatic mass to adjacent splenic vessels, or inflammatory reactions which are adhesion formation, it is impossible to isolate the pancreas from splenic vessels. In these cases, distal pancreatectomy with ligation of splenic vessels seems inevitable. This report provided the idea that in such cases (invasion of the mass to splenic vessels), there is no obligation to remove the spleen. This idea suggests that if there are no signs of ischemia after ligation of vessels, the spleen could be preserved. According to some of the recent studies (10), spleen-preserving laparoscopic distal pancreatectomy can be performed safely in elderly patients, with results comparable to those achieved in younger subjects. However, the elderly patient undergoing division of the splenic artery and vein may be at higher risk for splenic infarct and its etiology of is unclear. This fact, it may lead to the second operation for splenectomy. For this reason, close observation of these patients, maybe necessary after this operation. It is possible to preserve the spleen even in case of laparoscopic distal pancreatectomy with ligation of splenic vessels, if no signs of splenic ischemia are present. This method could have noticeable advantages to the patient, in the short and long term. It is suggested to have close observation of the patient during initial months after performing a SPDP with ligation of splenic vessels. Conducting wider comparative clinical studies could help prove this idea. We appreciate all the ones who helped in this manuscript. Implication for health policy/practice/research/medical education: This report presents a patient who went under laparoscopic distal pancreatectomy due to cystic tumor of pancreatic body with splenic vessels involvement and ligation of them was necessary and the spleen was saved successfully without consequent complications. Authors’ contribution: All authors have contributed in the manuscript. Funding Support: There is no funding support.